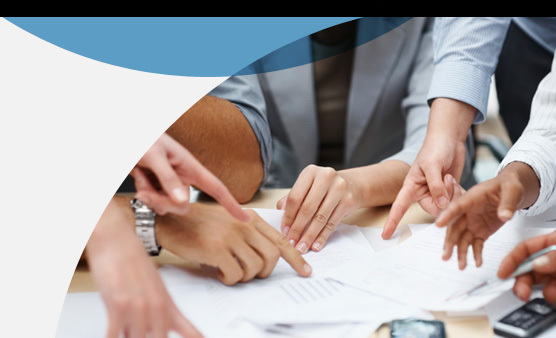 Building on this empirical assessment of Canada’s relative strengths, additional insights were gained from discussions with stakeholders across the country who had a more nuanced understanding of regional strengths and weaknesses. 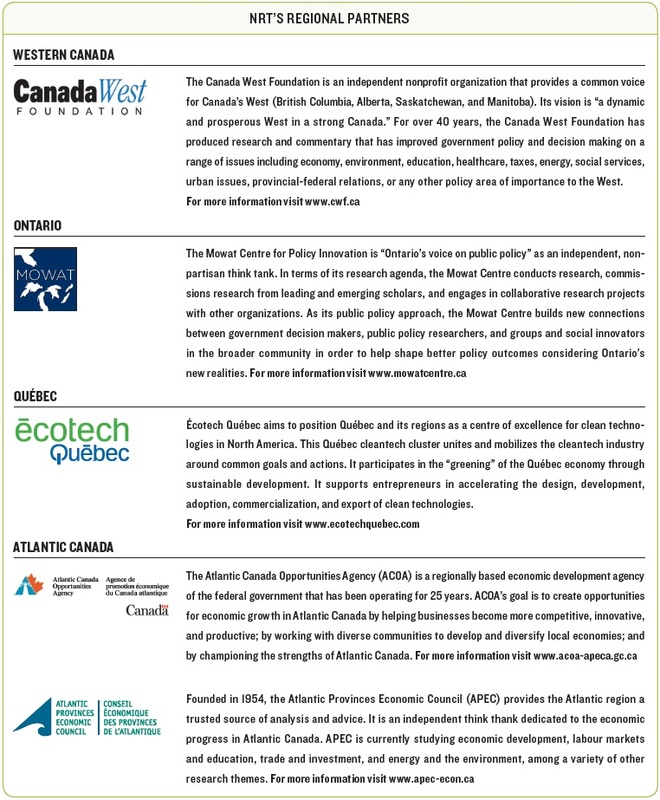 Regional discussions, facilitated by the NRT and its Regional Partners (see Box 1), highlighted strengths in terms of both Canada’s physical low-carbon resources and its intellectual capital, related experience and expertise, and institutional capacity. Low-carbon opportunities were described in terms of what currently exists and what could be given participants’ understanding and views of existing strengths and capacity. 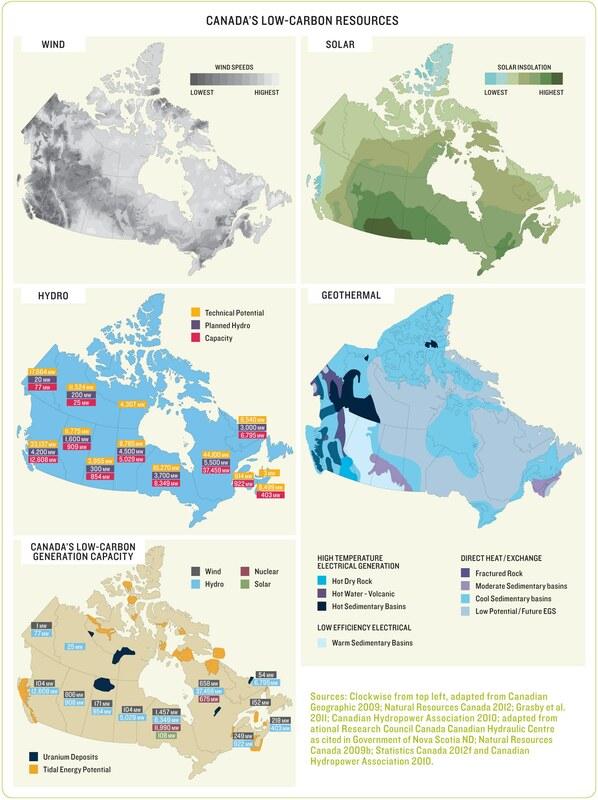 Figure 5 and Figure 6 respectively provide a graphical representation of Canada’s low-carbon energy resources and low-carbon electricity capacity, and Canada’s low-carbon strengths and opportunities as identified by regional stakeholders. Participants in our cross-Canada dialogue were united in identifying that Canada’s low-carbon opportunities are as significant and diverse as its geography. They were further unified in citing Canada’s innovative capacity as an area of significant strength and potential (see Box 2 for examples of centres of low-carbon innovation). From Nova Scotia’s Fundy Ocean Research Centre for Energy (FORCE) to Ontario’s MaRS Discovery District, Québec’s Écotech, Saskatchewan’s Canadian Centre for Nuclear Studies, Alberta’s concentration of CCS expertise, and B.C.’s thriving “cleantech cluster,”k Canadians see their regions as being centres of innovation capable of contributing actively to a low-carbon future. They also emphasized the need to do things “right” from the outset to minimize impacts and inconvenience down the road (e.g., with respect to building energy efficiency and urban design). Regional challenges (e.g., regional transportation networks, lack of sufficient inter-regional electricity infrastructure) were also frequently identified as opportunities (i.e., the flip side of the coin). 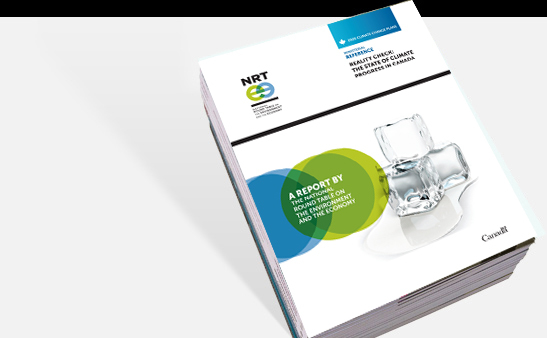 Energy efficiency in the context of transportation, buildings, and industry was cited frequently as a key opportunity remaining to be tapped. The potential for using electricity to displace fossil fuels where there is significant low-carbon electricity potential (“electrification”) was also noted in several provinces. More detailed descriptions of the opportunities identified in these discussions are presented in Appendix 6.2. We summarize the key messages from each region below. 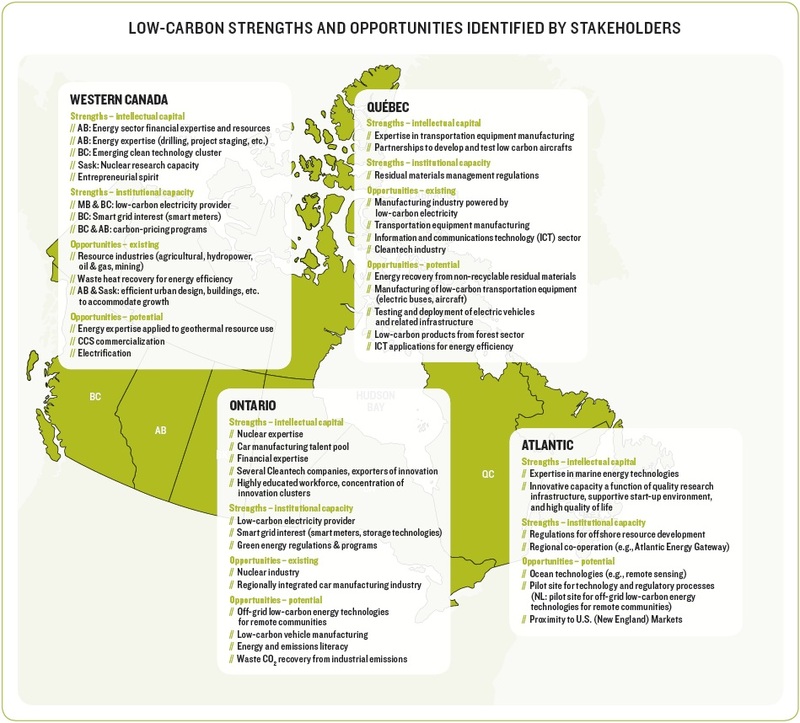 Western Canada has diverse low-carbon resources and opportunities that vary substantially by province; however, several common themes emerged in stakeholder discussions.l There was an emphasis on building on strengths. Much of western Canada’s economic well-being centres on resource-based industries whether that is agricultural resources, hydro power, oil and gas, or mineral extraction and mining. This expertise was seen as a strong asset and as a platform for research and innovation. In particular, energy-sector expertise and experience were seen as key strengths in developing low-carbon energy resources. 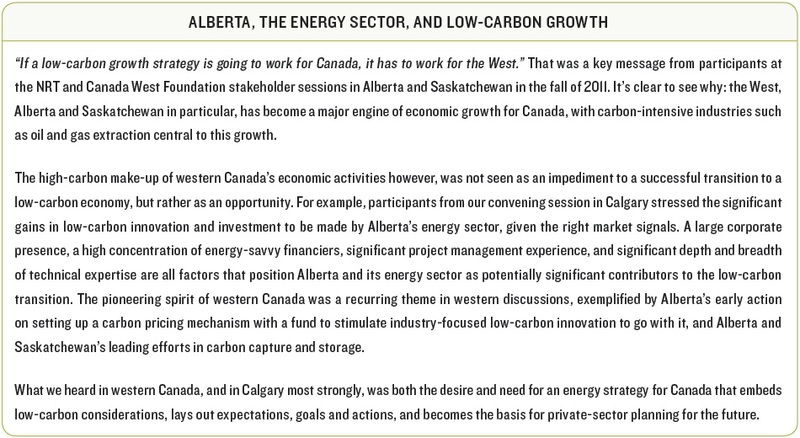 Western Canada was noted as being replete with low-carbon energy resources including hydropower, biomass, solar (Alberta and Saskatchewan were noted by one participant as receiving more solar energy than either Texas or Germany), wind (on- and off-shore), geothermal resources, and uranium. A significant portion of electricity generated in Manitoba and British Columbia is already low-carbon. Western Canada’s significant expertise in drilling, large project staging, and operating in harsh environments were noted as having direct application with respect to geothermal resource development. As is often the case, sources of great challenge (e.g., fossil fuel resources, transportation, etc.) also represent great opportunity. Energy efficiency was noted as a resource that remains to be fully tapped (see Box 3 for an example of recent efforts). Participants noted a need for greater inter-regional co-operation on a number of fronts, but particularly focused on the need for additional electricity infrastructure to allow for increased longitudinal transmission. Western Canada was highlighted as having both a significant interest and an existing advantage in the pursuit of the commercialization of CCS technologies. Two additional noted strengths were western Canada’s entrepreneurial spirit, and its experience through B.C. and Alberta with the implementation of carbon pricing programs. The need for a transition to a low-carbon economy was balanced by recognition of the existing (and emerging) economic base, and the need to reconcile these two realities (see Box 4). 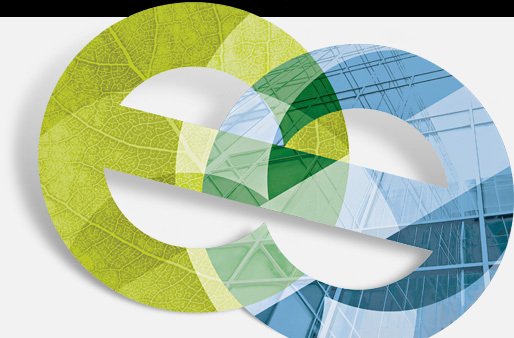 The low-carbon economy stakeholder discussion in Ontario reflected the significant influence of the provincial government’s Green Energy and Green Economy Act (GEA) on all aspects of energy supply, technology and innovation in the province. Ontario’s existing strength as a predominantly low-carbon provider of electricity was noted, but was balanced by the recognition of a need for more significant dispatchable power capacity, particularly given the success of the feed-in-tariff program at encouraging the development of intermittent energy resources (e.g., wind, solar). The opportunity for biomass to contribute to filling this gap was emphasized. Ontario’s strength as the centre of Canada’s nuclear industry was also noted. While the nuclear industry presents significant opportunity in the long run (particularly with the development of next-generation reactors), Canada’s nuclear industry needs to re-establish itself on the world stage if it is to remain viable. Ontario’s financial sector expertise also has the potential to be brought to bear to address the financing challenges of the low-carbon transition. This presents a win-win opportunity for both the financial sector and Canada’s low-carbon innovators. Ontario’s potential for exporting “intellectual capital” was also highlighted. A number of low-carbon and renewable energy technology companies in Ontario have been successful in developing and exporting new and innovative adaptations of existing technology. Innovative off-grid energy technology is also needed in many aboriginal communities, which offer an ideal testing environment and partnership opportunities with longer-term potential for sales into international markets facilitated by domestic demonstration. Related to this is Ontario’s emerging strength in smart-grid and energy-storage technologies. It was also suggested that increased awareness, education and literacy around energy and emissions would in itself yield efficiencies and reductions in electricity consumption. One example is the potential of the “virtual world,” the “gamifying” of energy efficiency and the development of new technology solutions. Focusing on Ontario’s manufacturing industries the automobile manufacturing sector was noted as having potential to contribute to anticipated North American demand for low-carbon vehicles (see Box 5). It was further noted that the top twelve industrial GHG emitters in Ontario produce 80% of the province’s industrial emissions. Given this concentration of emissions, the waste CO2 can be considered as a resource if innovative approaches allow for its capture and use in, for example, biomass-based fuels. Québec has significant existing low-carbon energy resources with substantial remaining opportunity in the form of hydropower, wind, solar and biomass resources. Uranium resources and tidal power are also highlighted in the Plan Nord as having potential in Québec’s north. Recent work undertaken for Écotech Québec highlighted significant potential for technology development related to hydropower, energy efficiency, biomass, and residual materials management. The identification of opportunity related to residual materials management was unique to Québec. Québec’s legislative framework for residual materials managementm provides a strong base for increasing energy recovery from non-recyclable residual materials not present to the same degree in most other Canadian jurisdictions. It was also noted that Québec has a competitive advantage in manufacturing certain products due to their energy intensity and the ability to employ low-cost, low-carbon electricity in their manufacturing (e.g., aluminum). More broadly, due to Québec’s low-carbon electricity, most manufactured products compare favourably to their competition with respect to carbon footprint. This presents an advantage and opportunity for Québec’s manufacturing industry. Given Québec’s existing transportation equipment manufacturing base, welldeveloped supply chains and depth of expertise, there is significant potential for Québec to develop and manufacture low-carbon large-scale transportation equipment e.g., electric buses. Several projects are currently underway including a collaborative initiative between universities and research centers in partnership with government and leading firms to develop and test new low-carbon aircraft concepts. It was also noted that with the historic presence and strength of the forest products industry in Québec, there is significant potential for the reorientation of sector activities toward the production of low-carbon products. In particular a forest biorefinery project was highlighted, the focus of which is to support the development and demonstration of new products derived from forest biomass. Québec’s strong information and communications technology (ICT) sector offers a strong base for the development of new ICT products and systems that foster reduced energy consumption. Lastly, transportation was highlighted as one of Québec’s most significant GHG challenges, with road transportation accounting for one third of all GHG emissions in the province. With its existing low-carbon electricity supply and substantial remaining untapped capacity, Québec presents an ideal context for the testing and deployment of electric vehicles and related infrastructure. While their distribution across the region is not even, Atlantic Canada is home to a diversity of lowcarbon energy resources. Unique to Atlantic Canada was the focus on the “salt water hinterland.” Marine resource development is a driving force behind Atlantic Canada’s current economic success stories, and has the potential to play a similar role in the low-carbon context. In addition to the potential development of ocean (wave and tidal) and wind energy resources, the development of associated marine / ocean technologies (e.g., remote sensing technologies) represents a significant long-term economic opportunity. It was noted that technology development associated with marine oil and gas exploration are expected to generate significant low-carbon spinoff benefits. While there is global competition and Atlantic Canada is a relatively small player, as one participant put it, Atlantic Canada is “no further behind than anyone else” in the development of marine energy technologies and expertise. In addition, experience in developing and regulating offshore resources and expertise in developing technologies for use in offshore exploration and development position Atlantic Canada (and in particular, Newfoundland and Labrador) well as a launch pad for the development of Arctic offshore resources. To the degree that carbon reduction technologies (e.g., CCS) become viable, this resource has greater potential in a future low-carbon context. Discussion of low-carbon opportunities also highlighted opportunities related to regional co-operation particularly with respect to the development of hydropower (e.g., Lower Churchill Fallsn) and related interprovincial transmission lines. As a source of dispatchable power, these potential generating assets were noted as being key to the further development of intermittent renewable power sources such as wind. Newfoundland and Labrador’s remote communities and mining sites were also highlighted as providing ideal conditions for the piloting of off-grid low-carbon technologies. Many of these sites currently use diesel generators, and connection to the grid is prohibitively expensive. Nalcor, Newfoundland and Labrador’s energy crown corporation, is already piloting a project in the remote island community of Ramea with the objective of using wind generation with hydrogen storage as the primary backup (Ramea Wind-Hydrogen-Diesel Projecto) integrated with secondary diesel backup generation. Participants emphasized Atlantic Canada’s innovative capacity focusing on the combined strength evident in its high quality educational and research institutions, a strong supportive start-up environment, and an exceptional quality of life that provides an edge over other jurisdictions in the competition for skilled labour. Lastly, it was also suggested that Atlantic Canada serves as an excellent test bed for small-scale modelling whether for regulatory processes or pilot projects, and that this presents an opportunity for Atlantic Canada to undertake projects that might not otherwise be pioneered in this region. Our analysis demonstrates the growing importance of LCGS sectors both globally and domestically. The scale of the market opportunity is considerable, and makes a case for why Canada’s public and private sectors should make strong efforts to understand the global low-carbon transition and benefit from it. Canada’s regional opportunities are significant and diverse including both low-carbon resources and the capacity to deliver added value low-carbon products and services. Common threads include an emphasis on innovation, energy efficiency, and inter-regional grid connectivity as well as the expanded development of more localized renewable energy resources. 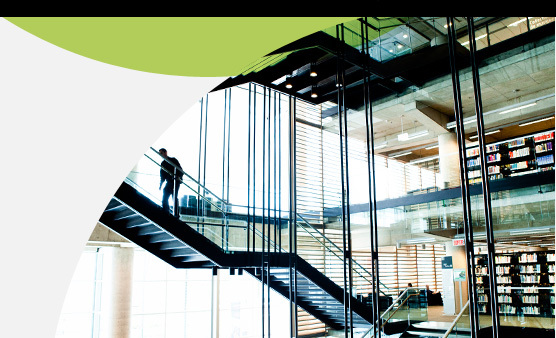 Later sections of this report discuss actions that are needed to position Canadian firms to succeed and meet the market needs. [k] “Cleantech” refers to the development and marketing and/or use of technology to deliver products or services that reduce or eliminate negative environmental impacts, and address social needs while delivering competitive performance, and/or using fewer resources than conventional technologies or services (Analytica Advisors 2011). [l] In addition to the themes outlined here and discussed in more detail in Appendix 6.2, the Canada West Foundation published a report on the Western Canadian low-carbon economy round tables entitled, “Cautious Optimism: Western Perspectives on a Low-Carbon Economy” (Canada West Foundation and National Round Table on the Environment and the Economy 2012). [m] An Act to amend the Environment Quality Act as regards residual materials management and to amend the Regulation respecting compensation for municipal services provided to recover and reclaim residual materials. [n] This includes the proposed Muskrat Falls and Gull Island generating stations. [o] For more information see: Natural Resources Canada 2009a, and Nalcor Energy 2010.